The purpose of this paper is to explore the problem of non-convex labor supply decision in an economy with both discrete and continuous labor decisions. In contrast to the setup in Vasilev (2016a), here each household faces a sequential labor market choice - an indivisible labor supply choice in the market sector, and conditional on non-working in the official sector, a divisible hours choice in the informal sector. We show how lotteries as in Rogerson (1988) can again be used to convexify consumption sets, and aggregate over individual preferences. With a mix of sequential discrete and continuous labor supply decisions, aggregate disutility of non-market work becomes separable from market work, and the elasticity of the latter increases from unity to infinity. Hansen, G. 1985. Indivisible labor and the business cycle. Journal of Monetary Economics 16: 309–327. Rogerson, R. 1988. Indivisible labor, lotteries and equilibrium. Journal of Monetary Economics 21: 3–16. Vasilev, A. 2015c. RBC models and the hours-wages puzzle: puzzle solved! Economia Journal 41: 117-130. VASILEV, Aleksandar. AGGREGATION WITH SEQUENTIAL INDIVISIBLE AND CONTINUOUS LABOR SUPPLY DECISIONS AND AN INFORMAL SECTOR. 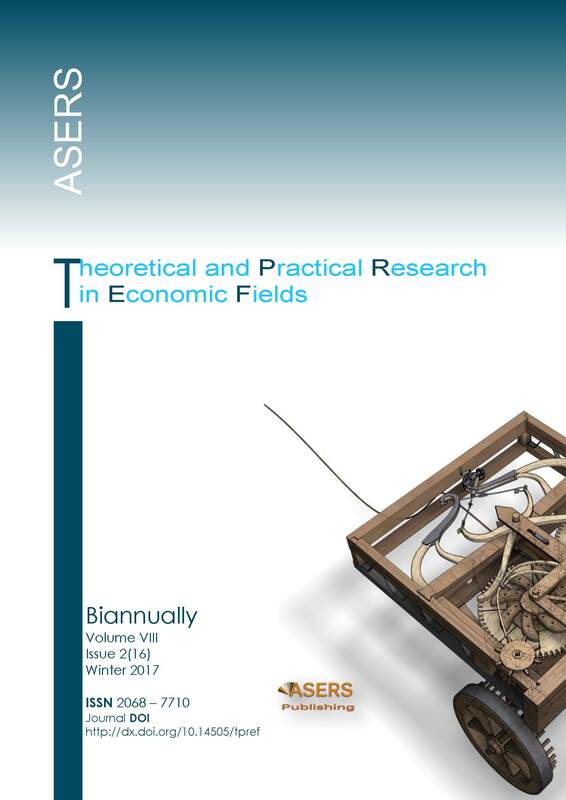 Theoretical and Practical Research in the Economic Fields, [S.l. ], v. 8, n. 2, p. 144-148, dec. 2017. ISSN 2068-7710. Available at: <https://journals.aserspublishing.eu/tpref/article/view/1562>. Date accessed: 22 apr. 2019. doi: https://doi.org/10.14505//tpref.v8.2(16).06. This form refers to the manuscript, which an author(s) was accepted for publication and was signed by all the authors. The undersigned Author(s) of the above-mentioned Paper here transfer any and all copyright-rights in and to The Paper to The Publisher. The Author(s) warrants that The Paper is based on their original work and that the undersigned has the power and authority to make and execute this assignment. It is the author's responsibility to obtain written permission to quote material that has been previously published in any form. The Publisher recognizes the retained rights noted below and grants to the above authors and employers for whom the work performed royalty-free permission to reuse their materials below. Authors may reuse all or portions of the above Paper in other works, excepting the publication of the paper in the same form. Authors may reproduce or authorize others to reproduce the above Paper for the Author's personal use or for internal company use, provided that the source and The Publisher copyright notice are mentioned, that the copies are not used in any way that implies The Publisher endorsement of a product or service of an employer, and that the copies are not offered for sale as such. Authors are permitted to grant third party requests for reprinting, republishing or other types of reuse. The Authors may make limited distribution of all or portions of the above Paper prior to publication if they inform The Publisher of the nature and extent of such limited distribution prior there to. Authors retain all proprietary rights in any process, procedure, or article of manufacture described in The Paper. This agreement becomes null and void if and only if the above paper is not accepted and published by The Publisher, or is with drawn by the author(s) before acceptance by the Publisher. Soon, we launch the books app stay tune!